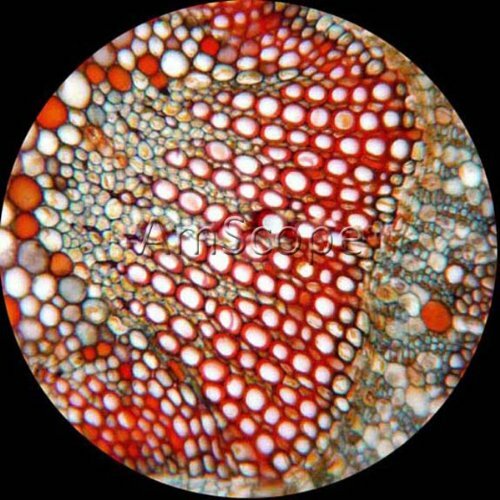 The AmScope M500 Monocular Compound Microscope is not a microscope designed for professional use, rather it is designed for the avid science hobbyist or elementary or high school student. 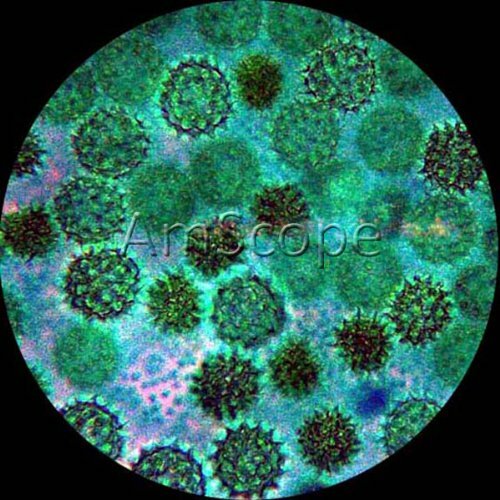 For that reason the manufacturers of this microscope has worked hard to make the AmScope M500 affordable to those individuals who may be on a limited budget. While costs were definitely cut in the making of this microscope it is nonetheless a good quality tool for homeschooling or the every day hobbyist. When you purchase the AmScope M500 Monocular Compound Microscope you should find the following in the box. In order to decide if the AmScope M500 microscope is right for you we are taking a closer look at four general areas of this scope the design, performance, Usability and Function. We have also rated each of these areas from 1 to 9 based on how well we feel this microscope meets the purpose for which it is designed. The AmScope M500 is designed for easy everyday use. It has a sturdy and somewhat heavy base and all metal construction. You do have to move your slides by hand, but that is too be expected with a microscope in this price range. The coarse and fine adjustment knob for this microscope makes it easier to bring your specimens into clear focus. Based on the intended purpose for this microscope we give this microscope a solid 7 ½ points for it’s design and build quality. 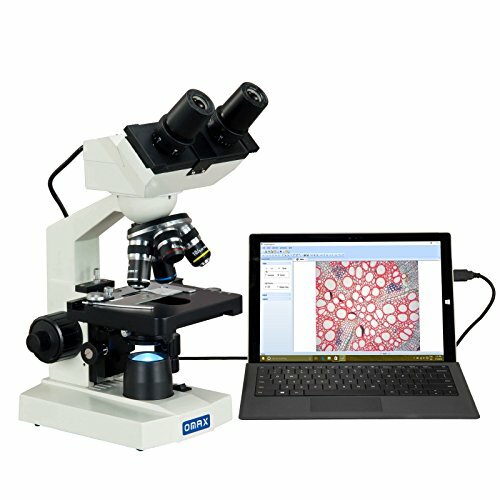 Most users find the performance of this microscope to better than most microscopes in this price range. The multiple lenses allow for better viewing and the fine and coarse focus knobs are easy to operate. The find it pretty easy to set up and feel that the glass optics allow for clearer and brighter viewing of different types of specimens. The fact that the tungsten light for this microscope is adjustable makes this microscope even more versatile. While you may not be able to observe the smallest of microscopic specimens with this scope it is powerful enough to observe bacteria, (with the immersion oils) pond water, insects and a variety of prepared slides. We award 7 ½ stars for performance. The AmScope M500 is extremely useable with most people including young children having little difficulty setting the microscope up. They do find the users manual difficult to download and feel that instructions that come with the microscope could be better. Although the slides need to be manually adjusted for better viewing of the specimens this seems to something most users expect. The coarse and fine focus makes focusing this microscope easy and simple and users really like the clear optics. The fact that this microscope is well designed and sturdily built also makes it extremely useable for many years. For that reason we award the AmScope M500 8 points for usability. This microscope functions better than most microscopes in the same price range. Users find the light, the optics and focusing of this microscope to be simple and easy and feel that you can view a wide variety of microscopic specimens using this scope. The M500 works great for viewing both prepared specimens and slides you prepare yourself. 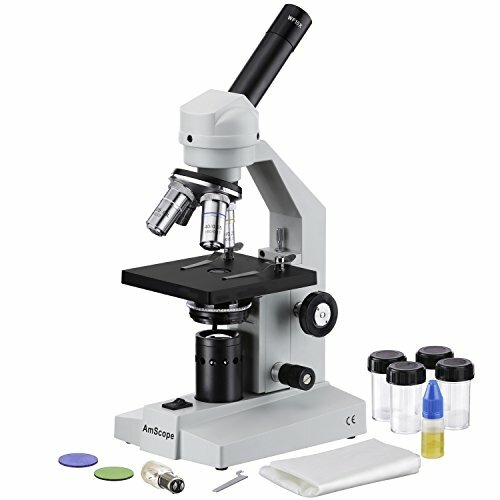 This microscope seems to be used mainly by children with an interest in science or those being homeschooled although several adults have also purchased this microscope for their own interest in science. We give the M500 8 points for it’s ability to function for the purpose it was intended. The Microscope is well made and sturdy. Several users actually expressed surprise at how well made this microscope actually is. They find it sturdy and expect it to last for several years of microscopic observation. Little or no plastic parts. One of the main advantages of the M500 is that this microscope is made of all metal making this microscope able to withstand the manipulation of the microscope by younger children. Good magnification. The glass optics used in this microscope makes for a clearer image and the fine and coarse focus knob helps to bring your specimen into sharper viewing focus. Great for various ages. The AmScope M500 is ideal for people of all different ages. 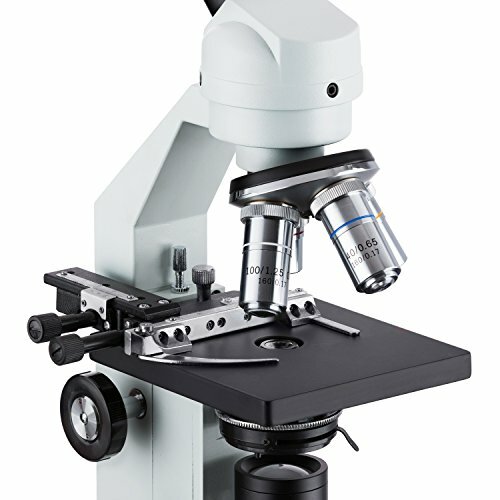 According to the reviews the ages of users for this microscope ranges from about age 7 though to middle aged adults. Hot spot. The area around the light bulb get extremely hot and some people have even suffered minor burns. The upper power lens of this of this microscope doesn’t work well although the lower lens is highly functional. No prepared slides. 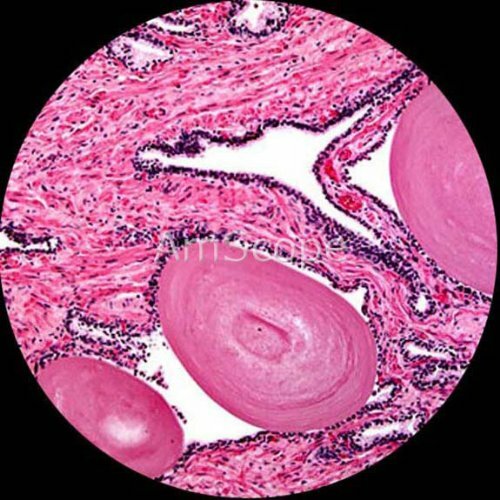 It is difficult to believe that some users feel that a microscope of this quality at this price should come with prepared slides, but some users do feel that not having any slides puts this microscope at a disadvantage. No carrying or storage case. Users also find the lack of a storage or carrying case to be a distinct disadvantage. 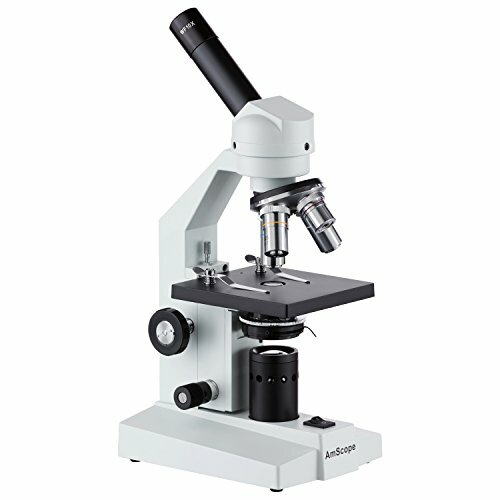 While the AmScope M500 is not going to meet the needs of professional labs or clinics, it is a good microscope for those who have an interest in the microscopic world and want to learn more about it first hand. 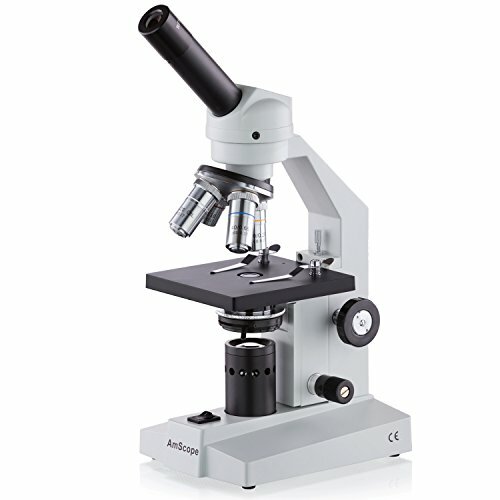 We feel this microscope is a good choice for the hobbyist or children of all ages who are interested in science.